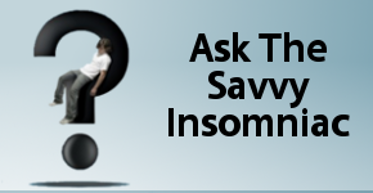 Tart cherry juice is supposed to help with sleep, a reader wrote to Ask The Savvy Insomniac a few days ago. But is there any real evidence for this? Usually I don’t pay much attention to these claims. I assume they’re made by industries hyping their products. Anyway, if certain foods COULD help control insomnia, wouldn’t we know that by now? Sadly, there’s not much we do know about which foods are helpful and harmful to sleep. When a product cannot be patented (as is true of raw foods), companies don’t have much incentive to fund research. There isn’t much government-sponsored research on the effects of individual foods on sleep, either. 2001, Journal of Agricultural and Food Chemistry: Researchers discovered that tart Montmorency cherries (the state of Michigan produces 90,000 tons of these cherries every year) contain very high levels of melatonin, a substance beneficial to sleep. 2010, Journal of Medicinal Food: First and only controlled study of the effects of a tart Montmorency cherry juice blend on the sleep of people with insomnia. Participating were 15 older adults (average age 72 years) with problems staying asleep at night. During a 14-day period, drinking 8 oz. of juice in the morning and 8 oz. in the evening (one or two hours before bedtime) significantly reduced wake-ups and insomnia severity. 2012, European Journal of Nutrition: A randomized controlled trial (RCT) showed that in 7 days of drinking a tart Montmorency cherry juice concentrate, 20 healthy subjects significantly increased their total sleep time an average of 39 minutes. 2013, Journal of Nutritional Health and Aging: In an RCT in Spain, a cherry juice blend, consumed at lunch and dinner, significantly improved sleep in 10 young, 10 middle-aged, and 10 older subjects. Older subjects saw the greatest gains. 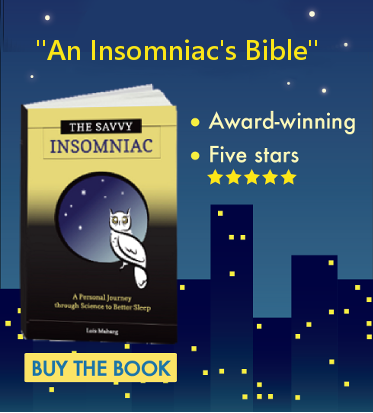 I’m fairly cautious about recommending alternative treatments for insomnia that haven’t been rigorously tested. But there’s probably nothing to lose by trying a “natural” product if doing so involves no known risks. With tart cherry juice, the only potential drawback I can see is that it’s fairly acidic and might cause problems if you have GERD or bladder cystitis. Particularly if you’re an older insomnia sufferer with problems staying asleep at night, the existing studies suggest that two servings of tart Montmorency cherry juice daily may help. If you’ve tried tart cherry juice for insomnia, did it help you sleep? Tart cherry juice is recommended for gout. It supposedly works because of the anthocyanins in it, which reduce inflammation. Maybe the juice relieves some minor aches and pains that are keeping you up? Cherry juice is also high in potassium. Low potassium can interfere with sleep, so maybe that helps as well (or instead)? Could be true. The anti-inflammatory properties of tart cherries are one mechanism of action proposed by investigators in the 2010 paper. The other thing they point to, and this is mentioned in all the papers, is that tart cherries are really high in melatonin. But potassium may be a factor, too. An investigator whose work I follow has just come out with an article on the effects of various dietary nutrients on sleep. It’s in my pile of articles to read! Heh heh — I misread your second note above as “First and only controlled study of the effects of a tart Montmorency cherry PIE on the sleep …” I will be signing up for those kinds of studies! But seriously, thanks for bringing up the news about cherries. I’m going to keep a few bottles in the pantry now.